Quite similar to any other operating system Linux too has its own benefits and shortcomings. You may have heard about certain benefits before like the Linux OS is free of cost and it can be customized to your liking. It also gives you considerable knowledge about how your system works. While there are a number of benefits but there are also drawbacks as well. Linux may have got simpler but nothing is foolproof. Our recent posts was all about the windows OS, i.e Creating a system restore point, Making a new partition without lising data, Shut down your computer via a keyboard shortcut as well as creating your own run commands etc.which we quite useful and intersting for our readers, and now let see how this post will be for your readers because this post is about linux. If you like this post then please leave a comment at the end. If you analyze the app section, you would see that there are very interesting features. If you have concerns about not having a very flexible and easy to use image editing program, an engaging photo library or even music player then you may feel a little shocked to know that the Linux has some very good offerings. You can try out apps like digiKam and see how they compete with other professional apps running on other well-known operating systems. What’s more, you also get a lot of choices and a wide range of categories. While the OS has some great apps, you may feel a little disappointed when you use services like Evernote, Spotify and Wunderlist. While both Spotfiy and Wunderlist have Linux versions available but they don’t seem to be at par with rivals like Windows and Mac. If you look around you would discover that Evernote has no official Linux compatible client. What’s more, third party clients like Everpad isn’t at all a very good option. If in case you tend to rely on web apps for a variety of services or want to change over to a Linux native app then that should work out only if you know how Evernote operates. At times you may feel frustrated and a little disappointed with some of the offerings that Linux has to bring. Compared to its predecessor that used to take significant time in setting up a few years back, Linux is now easy to install these days however getting the system set up the way you would like it can be challenging and discouraging. You would notice this when you want the system to adapt to the hardware settings. For instance, we have noticed that people in the past have tried to connect their five button mouse, but by default only the right and left buttons seem to work. For the remaining buttons, one has to install what is called as command line program, and then map the buttons using a config file. You may even have to set the program and do a trial and error to get the mouse working. On the contrary on Windows, the software for such mouse is there by default and it just takes a few minutes to set up. On Linux, the same thing happens with video drivers, hard drives, and with laptop touchpads. Again, a lot of things really depend on what kind of hardware you fancy and personal preferences. 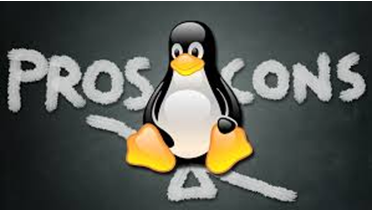 And if you are one of those who demands a great deal then you may not find the Linux a flexible operating system. Linux may have customizable options as compared to other rivals but they aren’t so easy to manage or configure. Linux is comparatively less polished than what many professionals would expect it to be. Although it may be a better system in terms of security but there are bugs and annoyances that you may experience. Compared to any Windows OS system, Linux is not an easy proposition and you can discover more as and when you have it set up. Situations like the mouse sensitivity being fast although being set at the lowest limit is very common. Even having the keyboard configured and receiving errors with the floppy and/or CD drive is not new. The sound system and even playing a video seems to be a nightmare for most users. With the Linux system, you would need to be patient and tactful. Bugs can be fixed and some tend to get fixed automatically by installing latest updates and patches. However managing these bugs does make you head spin around. Nevertheless, Linux isn’t too bad to use and you can still give it a try. Linux still has its own advantages over other systems and you just need to put in a little extra effort to get things working to your satisfaction. Once done, you can be rest assured that the system is very stable and would never turn you down. It’s perfect whenever you want to set up your own home theatre but at times you really need to dig in deeply to understand certain processes and functionalities. Author Bio: David Jack is a technical news junkie and works at paradevelopment. He loves everything about web development, web designing, technologies, IPhone Apps, and gadgets and has been prophetic in identifying the best ways to leverage and harness such news to drive sales growth for companies ranging from startups to huge organizations. We Appreciate comments related to any post. So feel free to leave a comment.